Baroness Sayeeda Warsi, a former chairman of the United Kingdom’s Conservative Party, was the first Muslim woman to serve in the British government from 2010 to 2014. She resigned from ministership in August 2014 over her party’s “morally indefensible” stance on Israel’s atrocities in Gaza. Following her resignation, she demanded the government impose an arms embargo on Israel, claiming it had killed 2,000 people “in just four weeks,” a move that earned her wide praise with many observers noting that her principled decision was likely to amplify, rather than dampen, her voice. That voice has found a new platform through prose with the release of Warsi’s book The Enemy Within: A Tale of Muslim Britain, in which she has put down her own life’s narrative alongside that of the Muslim community in her native United Kingdom. She is a gifted writer and, reading her book, one must acknowledge her desire to work for the public’s welfare, first giving up a £130,000 salary as a solicitor to stand for parliament, losing to her opponent but persisting in her efforts, eventually becoming the Conservative Party’s chairman. Britain’s multiculturalism was likely never understood by the Muslims succumbing to an intensification of identity. It allowed communities to retain their identity without making them sensitive to the needs of “integrating” with the host community, forgetting how to “be different and a part of the whole at the same time.” That it happened only to Muslims and not so much the Hindus also points to the supra-state “feeling” that only Muslims tend to be gifted with as a universal nation or “umma.” This feeling went against “the promotion of difference, an invitation to experience difference, a commitment to raise awareness of difference and not simply to tolerate but to celebrate difference” that multiculturalism was supposed to inculcate. Warsi’s Conservative Party, under David Cameron, rejected multiculturalism in 2011. Citing it as “a doctrine that tolerated segregated communities behaving in ways that run counter to our values,” Cameron sought to pursue “muscular liberalism,” an approach that Warsi thought sounded like a “we-need-war-to-find peace” doctrine. Six years earlier, then-prime minister Tony Blair had similarly ditched multiculturalism in favor of “integration.” This was triggered by the events of July 7, 2005, when four Islamic terrorists killed 52 people of 18 different nationalities in London, injuring another 700. Sidique Khan, who led the suicide attackers, had trained in Pakistan. Born in Leeds, he was the son of Pakistani immigrants and was buried in his parents’ homeland. A “long march” between Lahore and Gujranwala mourned his death, appearing to praise his actions, despite a state crackdown on foreign students at madrassas in the immediate aftermath. But the U.K.’s inability to prevent its citizens from seeking training in far-flung areas cannot be understated. There is no shortage of Hizbut Tahrir and Al-Muhajiroun boys who shout extremist slogans with cockney accents; London, it seems, has been gestating a form of Islam that was unknown outside it until 2005, when it started to gain steam, even attracting followers among Pakistan’s middle class. Warsi attempts to compare these movements to the Irish terrorists of the 1980s don’t really land. To her credit, she has described and analyzed all the major Muslim organizations in Britain. Hailing from a Barelvi background, she pointedly criticizes their actions while also debunking Britain’s flawed “preventive” policies. She finds outfits such as the counter-extremism Quilliam under Maajid Nawaz ineffective because he lost much support among Muslims after exiting the Hizbut Tahrir, suggesting his abandoning of Islamism didn’t sit well with the very people he is supposed to reach. French scholar Gilles Kepel, in his book Allah in the West: Islamic Movements in America and Europe (1997), had already predicted what was coming to Britain. According to him, communalization rather than integration suited the U.K. because it could then farm out the menial jobs to a community formed especially for them. Mosques catering to laborers came up in the 1950s in the U.K.’s industrial areas, as opposed to France where this trend started in the 1970s. Out of the 55 mosques serving the 85,000 Muslims of Birmingham in 1985 nearly half were set up before 1970. 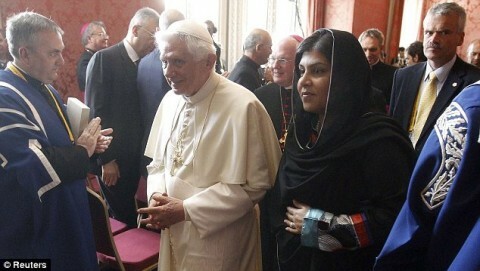 Warsi takes account of this dividing-through-mosques process, which began in the 1950s and 1960s. Separated along sectarian and even ethnic divides, different mosques catered to Barelvis, Deobandis, Pathans, Punjabis, Mirpuris, Bengalis and Gujratis. The first central mosque in Birmingham was built in 1971. A mere two years later, Barelvi Pir Maroof Shah founded the World Islamic Mission, building several mosques for his followers in Bradford. Sufi Abdullah built himself a similar Barelvi empire in the early 1980s. As the decade progressed, the Bradford Council of Mosques started to “separate” the community on such questions as halal food and girls’ education with the largely immigrant populations favoring the Labour Party. Then came the Rushdie controversy, almost coinciding with the Islamic scarf affair in France. The protest organized against Rushdie’s Satanic Verses united the fragmented Muslim community in the U.K., toppling its existing leaders and replacing them with Anglophone radicals inspired by the Islamic Revolution of Imam Khomeini in Iran. With the passage of time—and the rise of the Deobandi warriors in Pakistan—Warsi’s Barelvi community went into decline, their mosques increasingly manned by Deobandi clerics close to the Ahle Hadith who attracted funding from Arab communities, especially Saudi Arabia. Disturbing news kept trickling in about the growing lack of integration among the Pakistanis in the U.K. In particular, a 2001 study made by Professor Muhammad Anwar of the University of Warwick set out findings that foretold trouble in the days to follow. According to his study, the majority of the 700,000 Pakistanis living in the U.K.—up from 5,000 in 1951—were Kashmiris. The population was concentrated in four regions: 30 percent in and around London, 22 percent (100,000) in Birmingham, and 20 percent (65,000) in Bradford. In addition, 20,000 Pakistanis lived in Manchester and another 15,000 in Glasgow. The study attributed the population boom to a high birthrate among immigrants, with 47 percent of the population under the age of 16, as compared to 17 percent for whites. The community had the highest unemployment rate, five times the British average, and the crime rate was higher among them than in any other community. Fully 2 percent of the prisoners rotting in British jails were Pakistanis, the highest for any single marginalized community. One of the key harbingers of this change was Kalim Siddiqui, a Pakistani member of the Khilafat Movement who fled to London in the 1950s. After securing an education in the U.K. and declaring his support for Iran’s Islamization, Siddiqui founded the Muslim Parliament of Great Britain in 1989 and a year later issued his “Muslim Manifesto,” whose tenets—such as advising Muslims to refuse to obey laws that conflicted with their commitment to Islam—actively challenged the British system. This prompted Labour politician Roy Jenkins, who had in 1965 described the British policy of integration as equal opportunities with cultural diversity, to admit in 1989 that the policy had failed to effect any integration of Muslim culture and religion within British society. Warsi notes that at the time London looked at Siddiqui as an aberration and ignored him. It also ignored others like Abu Hamza Al Masri and Umar Bakri even as they encouraged their Muslim followers to retreat from British society. The climax of this refusal to recognize failure to integrate came in the 1990s when the British mosque started its drift toward the conservative orthodoxy of the Deobandi school of thought. Kepel’s book notes that Al Qaeda’s Finsbury Mosque cell had been run by Abu Hamza Al-Masri, an Egyptian who had been disfigured while fighting in Afghanistan. Al-Masri’s journal al-Ansar also glamorized the murderous Armed Islamic Group of Algeria, and his son abducted British tourists in Yemen for the sake of jihad. Another Egyptian, Yasser al Sirri, headed the London-based Islamic Media Observatory, a news agency that provided letters of accreditation to suicide bombers posing as journalists, who killed Ahmad Shah Massoud in Afghanistan three days before 9/11. London turned a deaf ear to protests made about its export of radical British youth into Pakistan and other regions of the world. It turned its face away equally from protests against its policy of giving out visas to people in Pakistan (ex-ISI chiefs included) and elsewhere known for inciting violent reactions among Muslim communities in the West. Author Warsi takes account of all this, intellectually connected as she is to the U.K., her home, while being emotionally moored in the faith undergoing its most stultified phase in the 21st century. Whose side is she on, one might ask? Perhaps the emotional one, in favor of her community; and that could be a reaction, too, to how the state in the U.K. will behave toward her no matter how rational and objective she is about her identity. Islamophobia is a term condemning the trend of hating Islam in the West. Intellectuals all over the world denounce it as a disease inside states evolved as highly tolerant and humane societies. Expatriate Muslims suffer at the hands of local miscreants who have embraced Islamophobia against their own law. Huntington’s thesis of Clash of Civilizations is seen by some as unfolding in Europe and America as extreme-right politics that bids fair to triumph. But there is another Islamophobia to consider and that is the Muslims’ own fear of Islam as terrorist organizations such as Al Qaeda and Islamic State rally hundreds Muslim killers under their flag and threaten Muslim states in the name of their religion. Looked at from an angle of internecine intolerance, Islamophobia looks like a Muslim phenomenon that is likely to grow. The kind of Islamophobia suffered in Pakistan—despite Islamabad’s efforts at pinning this carnage elsewhere—is also being experienced in Afghanistan, Iraq, Syria, Libya, Nigeria, Yemen, Somalia. Many sects under Islam, heretofore tolerated, walk in fear as the trend of apostatization gathers strength inside unstable states. Whereas in the West Islamophobia tends to unite the nation, in the Islamic world self-hating populations inside a state feel less and less like a nation. Thankfully, in the U.K., Muslims will not be able to do such harm to one another and Warsi should be thankful for that. There are Shias and Ahmadis living in peace there without fear of radical Islam harming them. Ahmadis are accepted as Muslims and their rights are protected although there are incidents of criminal assault—by fellow Muslims—against them occasionally. There are Shias living in Quetta and Parachinar who remain uncertain of their survival on a daily basis inside the Islamic Republic of Pakistan that discriminates against women and non-Muslims under law. At least Pakistanis can’t repeat in Britain what they have done to their community in Pakistan. But what of the native U.K.’s own future? From the 1968 “Rivers of Blood” speech of a racist member of parliament, Enoch Powell, the U.K. has traveled to the crossroads of Brexit in 2016; and the hidden message in this “verdict of the people” is against immigration and immigrants who now live in the U.K. without assimilation under a policy of failed multiculturalism. But it is the Muslims—and not so much the non-Muslims—living in the U.K. who will face the brunt of this new inward-looking state. Their religious intensity and inability to become integrated with the native community will ensure they will forever be pariahs in their own home, a tragedy of their own making. May we invite comments and opinions from British Muslims on this topic?